Do I Need Hiking Poles For A Walking Holiday? 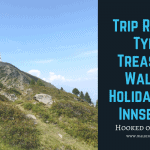 What Happens On A Self Guided Walking Holiday? How Fit Do You Have To Be For A Walking Holiday?